First exhibition of the year and looking forward to meeting up with members of the Forum at Epsom. 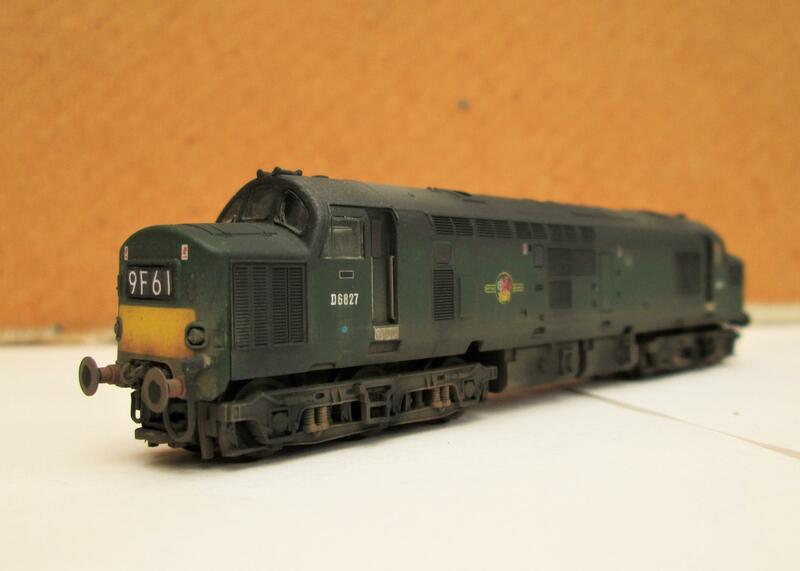 Some new stock including something rather special from Steve D’Costa of ATSO CAD fame. 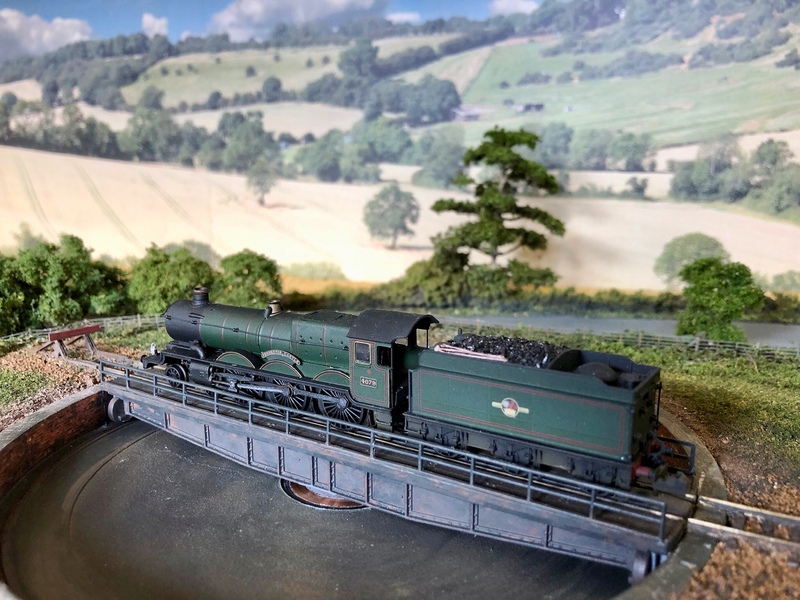 I have now fitted the ADM turntable and its engineering is superb, adjustable to 0.15 Degrees! Layout has been tested and tweaked today, running very well. I will share a few photos. First up a re- named Farish Castle - Pendennis, super detailed and weathered. 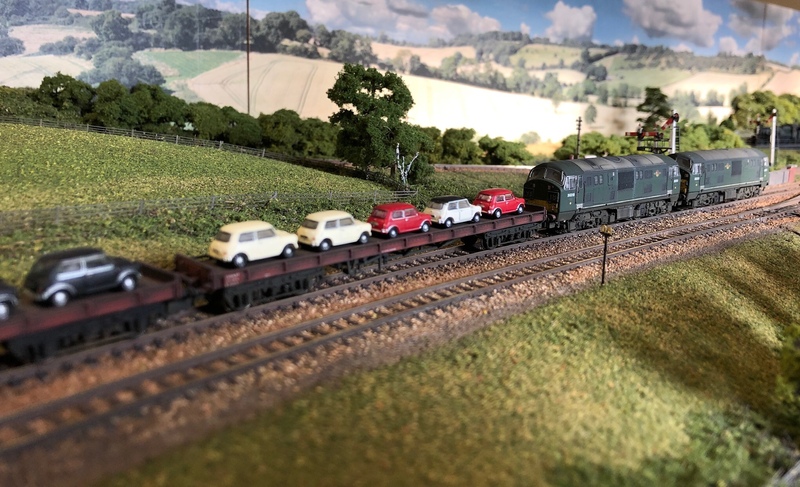 Class 22’s taking the new Minis and Morris Minors to their owners. 99% would have rusted away 55 years on! Car Flats from NGS have been weathered; Cars from Oxford diecast toned down with Matt varnish and some repainted. Looking forward to being at Epsom as well, that's a brilliant layout you have built. 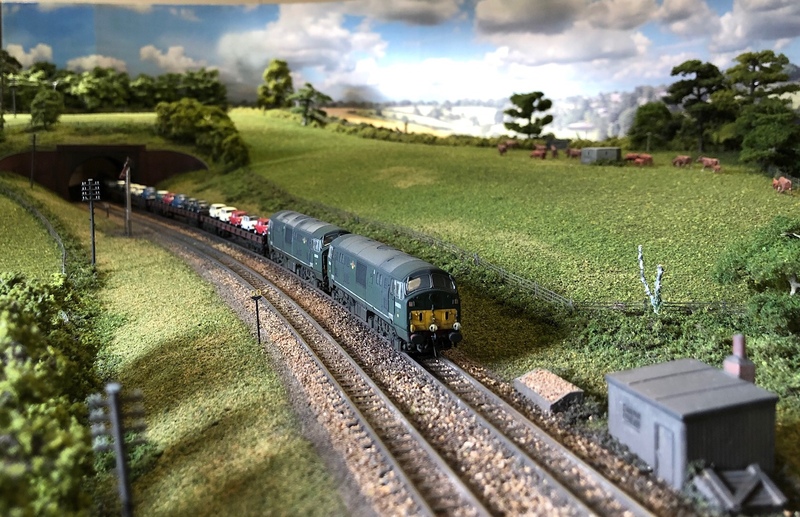 Thanks for kind words Chris, we have a great showing of N Gauge layouts at Epsom. Llangerisech 2mm, along side our 2 layouts So 3 GWR /. WR theme. I'm very much looking forward to Epsom and seeing this run. 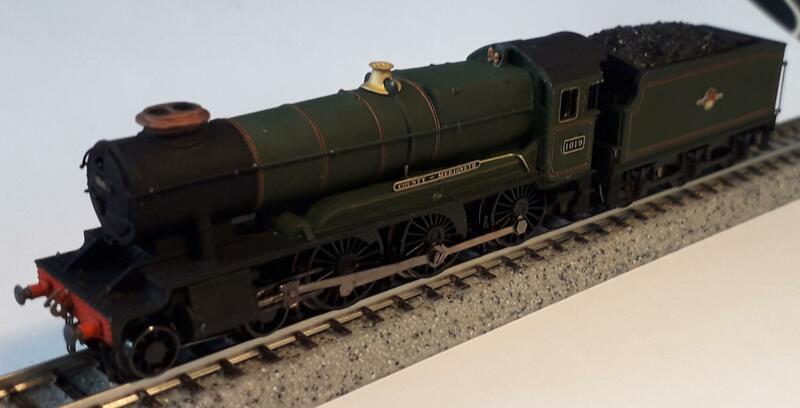 Despite being an LNER fan, I'm going to sad to see this one go. 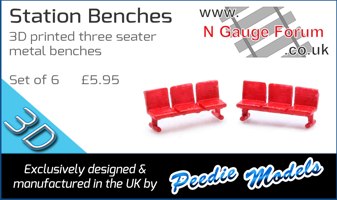 What a great layout and models! Let's have lots of exhibition pics, please! 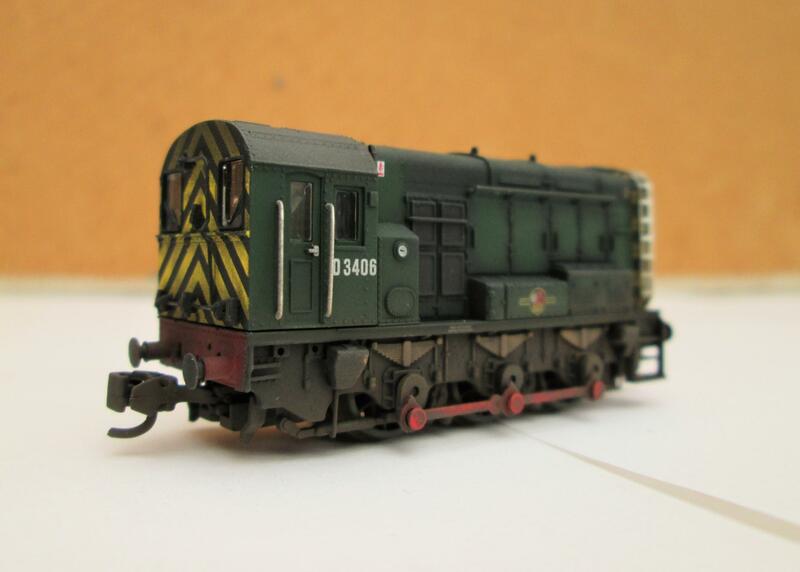 Couple of photos of new locos for Epsom. Now I have always been fond of 08's so a rule 1 loco for V.O.O as a yard as small as this layout has would have had the loco's on the pick up / drop off freight turns doing the shunting.